Works So You Don’t Have To! Spa Perfect‘s SMARTZyme™ technology eliminates unwanted non-living organic contaminants such as: body oils, cosmetics, suntan lotions, hair products and so much more! No more waterline rings, cloudy or unpleasant smelling water. 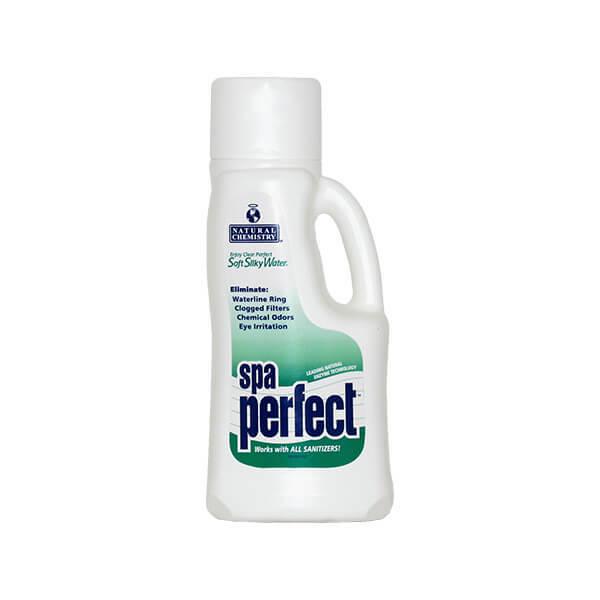 Spa Perfect also works as a continuous cartridge filter cleaner.